When you need to find freight, we provide the technology you need to make it fast and easy. No matter how you connect with us—whether you’re looking to book a shipment, make a routine status update, or post a truck—we want the process to be speedy and simple. So, we give you the freedom to choose the tools that fit your individual needs. With the right carrier technology, you can find a perfect balance of automation and personalization for your business. Whether you’re at your desk or on your phone, knowing your next move is easy with the supportive tools available through Navisphere® Carrier. Keep your business moving with new features like SmartMatch™, which intuitively finds loads for you; and billing status, which lets you quickly see payments issued on loads. > Sign in to experience Navisphere Carrier. 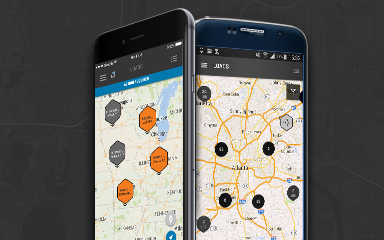 Your favorite Navisphere Carrier features are available on our free mobile app. Whether you use an iPhone® or Android® device, you can manage your business while on the move. Rather than taking time to make check in phone calls and emails, let your phone do it for you. 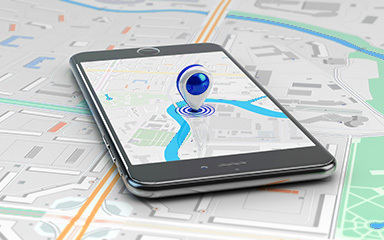 Using geo-fence updates and your phone’s location services, Navisphere Driver submits near real-time load updates for drivers, so you can focus on the road. Learn more about the Navisphere Driver app. With in-transit updates up to every 15 minutes, telematics tracking is highly accurate. We currently support over 40 GPS/telematics providers, allowing your compatible in-cab units to directly send stop and in-transit updates straight to Navisphere. Find out if your GPS/telematics unit is compatible. AscendTMS, a cloud based TMS for carriers, has collaborated with C.H. Robinson to integrate available C.H. Robinson loads directly into its platform. This new collaboration extends the power of the largest freight network in North America to the desks of capacity providers. Any carrier or owner/operator can now access all available C.H. Robinson loads in real time. If you already have an Omnitracs® agreement, get the most out of your service by automating your check calls. After the initial setup process, Omnitracs® will send position data and shipment status updates directly to C.H. Robinson through an electronic shipment visibility application for all loads. 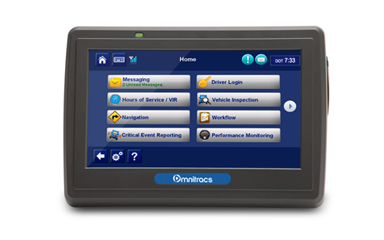 Learn more about GPS tracking with Omnitracs®. We’ve found that online EDI testing allows for an efficient and productive setup process. Our online EDI testing tool is Ramp Manager, hosted by EDIFECS. It provides the ability to download and review specs, test data, and instructions, as well as upload test files for validation and feedback. All LTL, truckload, and intermodal dray carrier specs are also available. Omnitracs® is a registered trademark of Omnitracs, Inc.